The schedule for the five-match ODI series between Australia and Pakistan has been finally decided by the Pakistan Cricket Board (PCB). The series is set to commence on March 22, only a day before the Indian Premier League (IPL) begins and it has confirmed now that the Australian players will arrive late for the T20 tournament. Arjun Tendulkar, son of Sachin Tendulkar, has taken yet another giant leap towards realising his dream of making it big in the game. The youngster has been making it to the news for all the right reasons in recent times. 21-year-old Ollie Pope had made his Test debut at the home of cricket at the Lord’s Cricket Ground against India in the second of the five-match series which saw England beat the visitors 4-1. The mentioned Lord’s Test saw England crushing the Indian team by an innings and 159 runs, as the visitors couldn’t withstand the swing and seam of James Anderson, who picked nine wickets. Australia haven’t had the best of times in limited-overs cricket in the last couple of years. 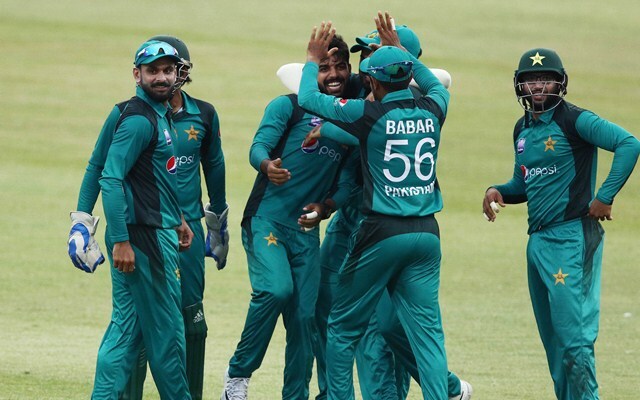 Their last ODI series win came back in January 2017 against Pakistan at home. They’ve lost six series’ in a row now. A lot of Indian cricketers have been getting married recently. Only a few players from the Indian side are the bachelors now and even the talented cricketer Sanju Samson entered the new phase of life a few months ago. Another name is added to the list now as Himachal Pradesh cricketer Rishi Dhawan exchanged marriage vows with his longtime girlfriend Deepali Chauhan. The World Cup takes place every four years and it’s deemed to be the pinnacle of the 50-overs format of cricket. The next edition of the championship is scheduled to start on Thursday, May 30 in England and Wales. With only more than three months to go for the World Cup in England, the teams are looking for the perfect combination. They are treating the last few ODIs before the event for the experimentation even as April 23 has been set the deadline to submit the squads. Jason Holder holds the distinction of the becoming the youngest to captain a Windies side at the age of 23 years and 72 days, as the West Indies board sacked Dwayne Bravo four years ago. Since then, the Caribbeans have seen many ups and down under his captaincy in all the three formats. Before they were suspended, Steve Smith and David Warner formed the fulcrum of Australia’s batting line-up in all formats. However, ever since the infamous ball-tampering saga, Australia’s batting has been under the scanner in the absence of their two stalwarts.